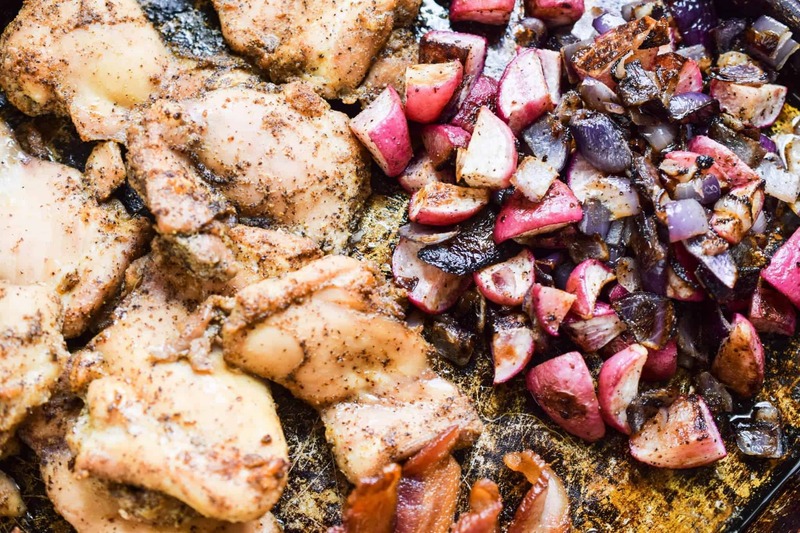 Chicken and Radish Sheet Pan Dinner is your new favorite combination! Who needs potatoes when you have roasted radishes? 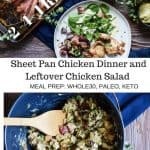 This sheet pan chicken dinner is my favorite kind of meal. It’s easy. It’s delicious. It makes a lot of leftovers. 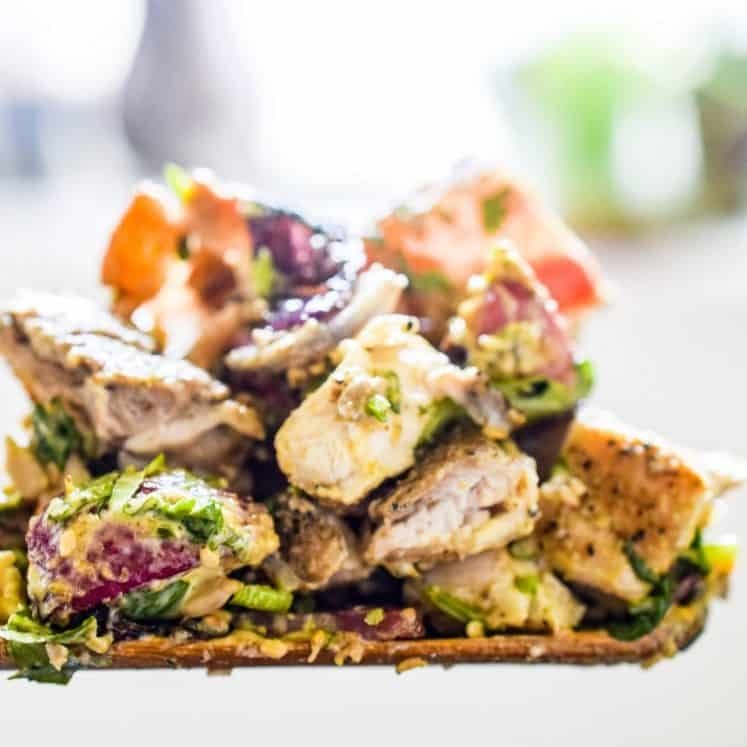 In this post, we’re actually going to make a killer chicken salad with the dinner leftovers. 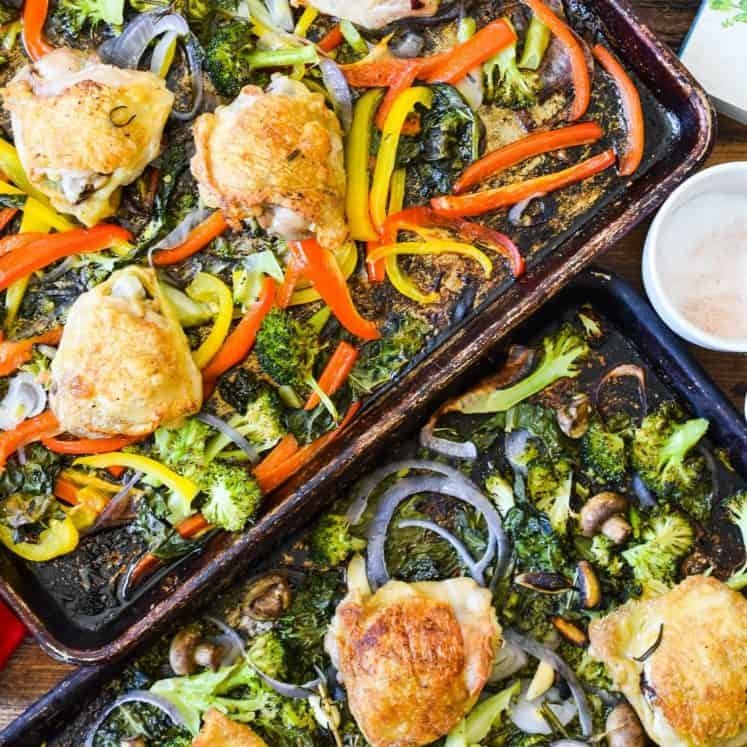 That’s right, an epic two for one sheet pan meal. 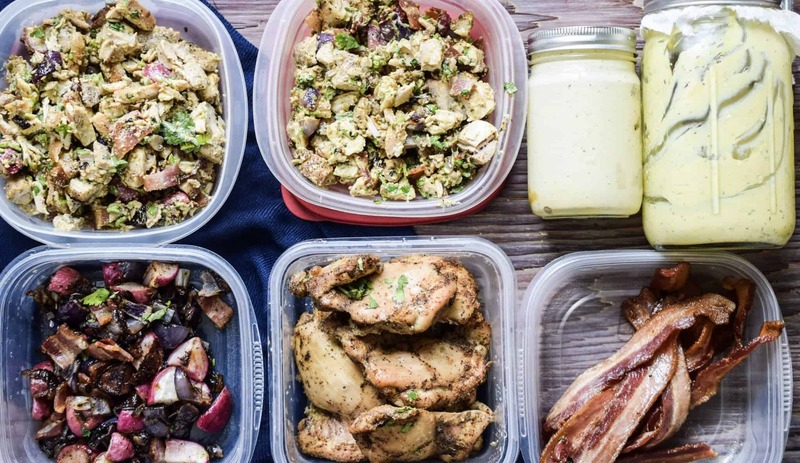 This is your new meal prep best friend! 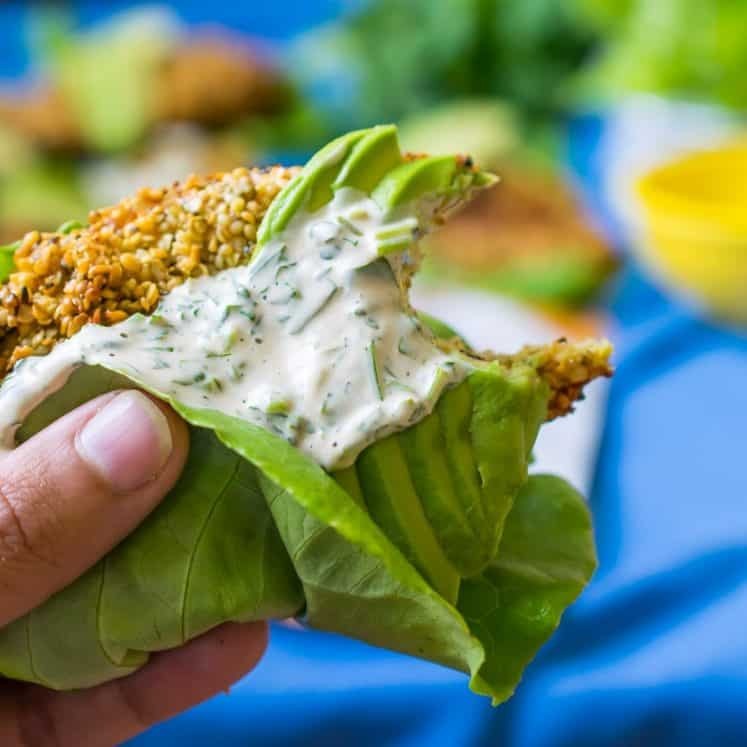 Just this morning I recorded with Leanne Vogel, and episode about eating on a budget and AIP for her Keto Diet Podcast. One thing I repeated, surely more than once, was buying cheaper cuts of meat and making them work for you. 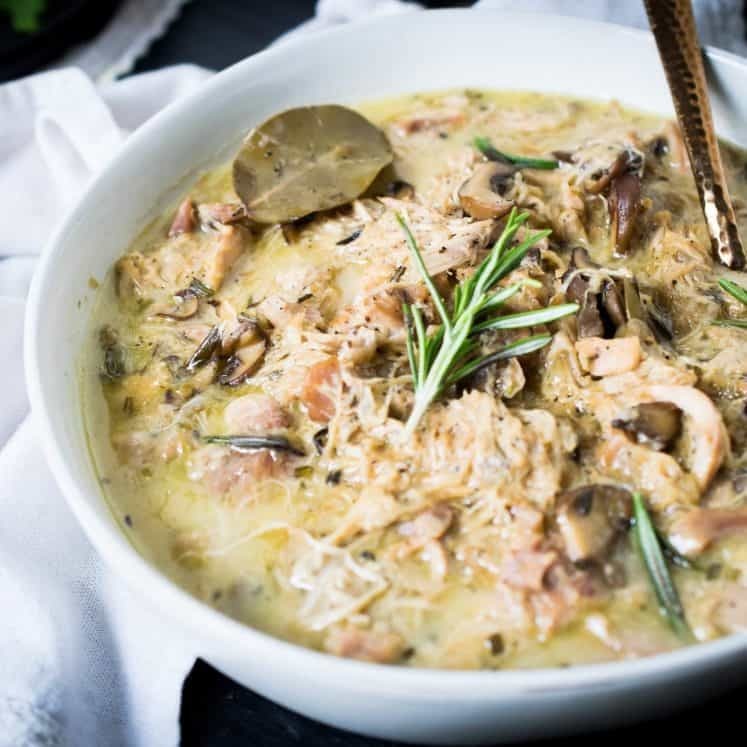 Boneless skinless chicken thighs might not seem that appealing now, I know, I used to hate them! But they are usually HALF THE PRICE of chicken breast. 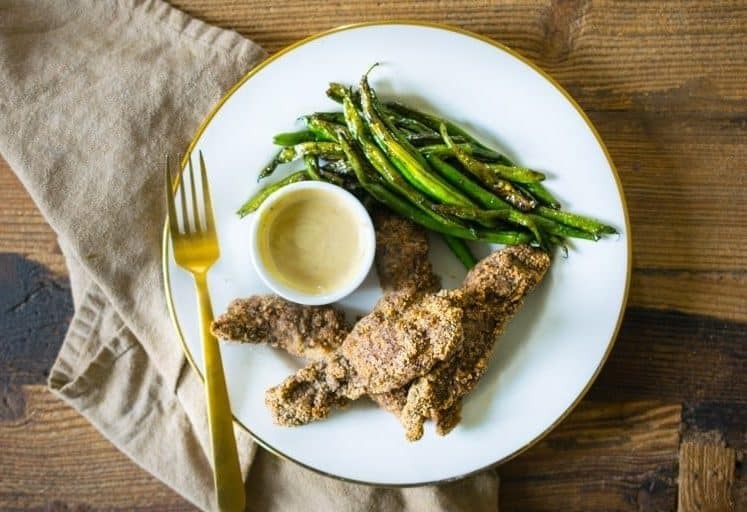 When seasoned and roasted crispy, they are absolutely delicious! 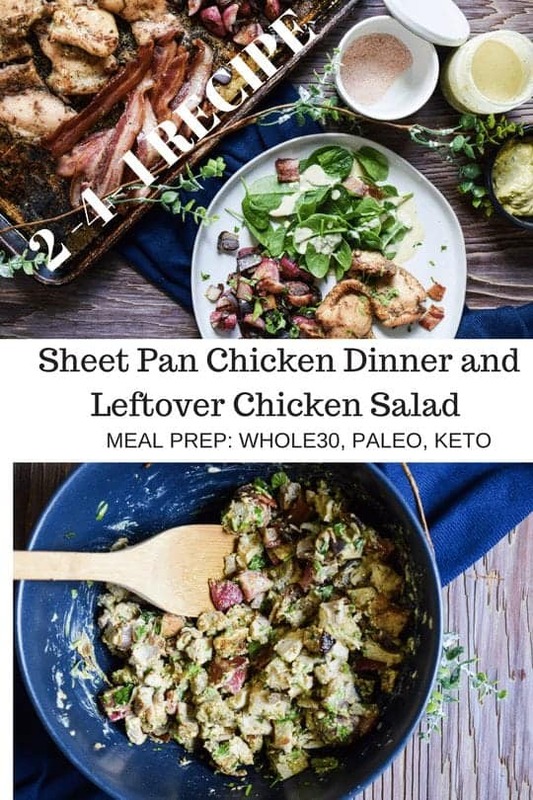 An easy and delicious meal, perfect for your Whole30 meal prep! Pre-heat oven to 400F. One rack in the center, one on the bottom. Add all of the chicken to one sheet pan and toss with the salt, garlic, pepper, cumin and 2 tablespoons bacon fat. 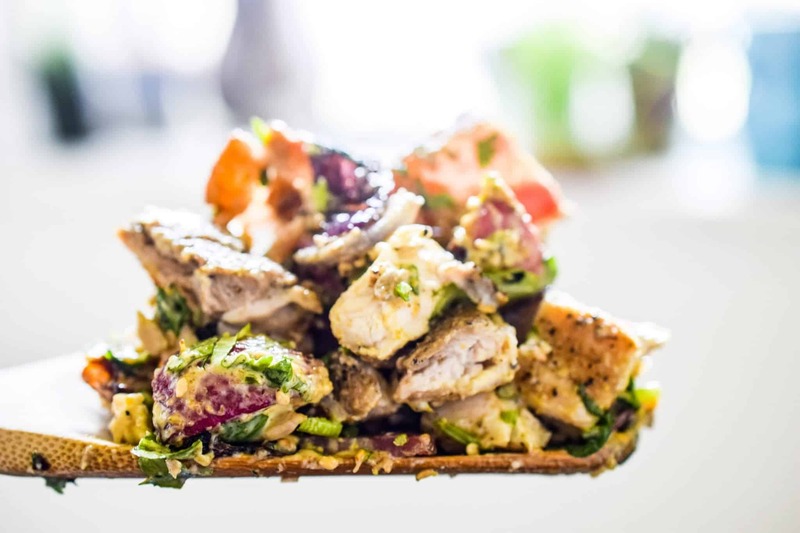 Mix to coat the chicken evenly then arrange the chicken flat on the sheet pan, not overlapping. On the second sheet pan toss the radishes and red onion with the remaining fat, salt, pepper and 5 spice. Then spread out over the sheet pan. With the veggies on the bottom rack and the chicken on the middle rack roast for 25 minutes. Then remove the veggies from the oven. Set the oven to broil and broil the chicken for 5 minutes. The remove from the oven. 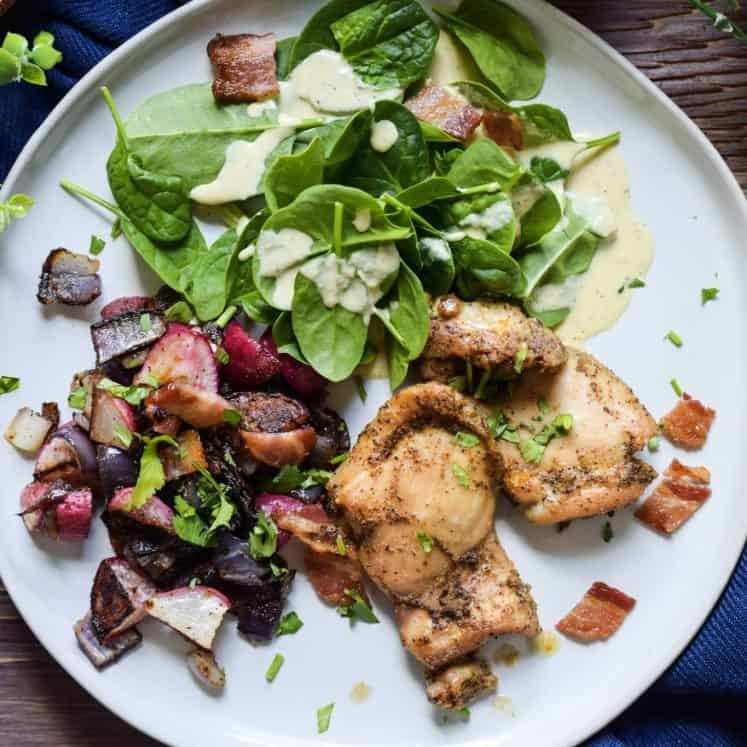 Save half of the chicken, bacon and ½ of the veggies for chicken salad (set aside). 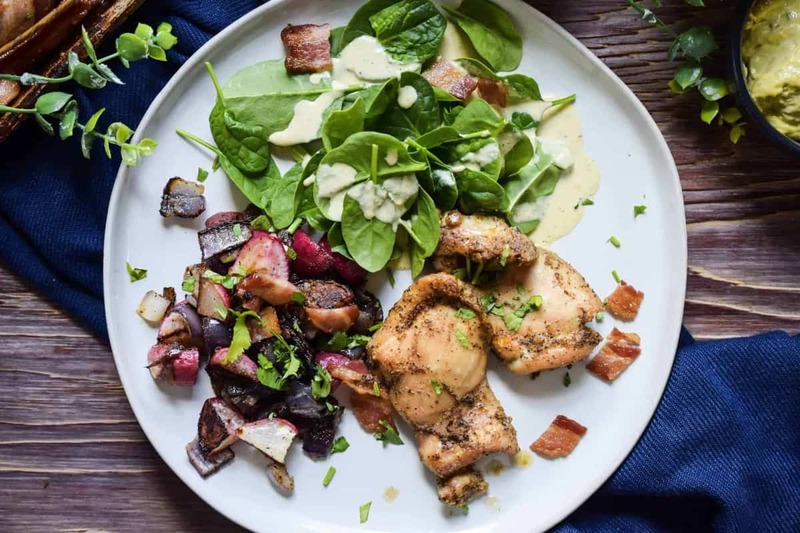 Serve the remaining chicken, bacon and veggies with a green salad! Mix everything together in a large bowl! Store in Tupperware up to a week.